One of the great lucha libre photo archives exists in the offices of the publication Revista Box y Lucha. 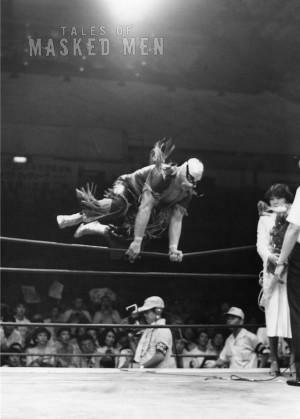 This informative weekly magazine has been covering the lucha libre scene since the 1950s. 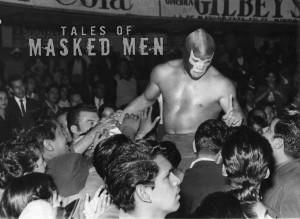 Consequently, they have amassed an extensive photo archive that Tales of Masked Men had access to during production. The magazine’s owner, Ingeniero Francisco Camacho Ruiz, is one of the true gentleman of the lucha libre world and he could not have been more supportive of our film.  Below you’ll find a sampling of the treasures of their archive. 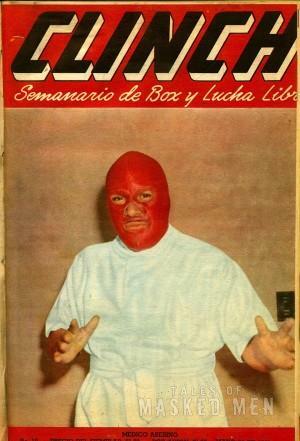 Before it was Revista Box y Lucha, the magazine was called, Clinch. 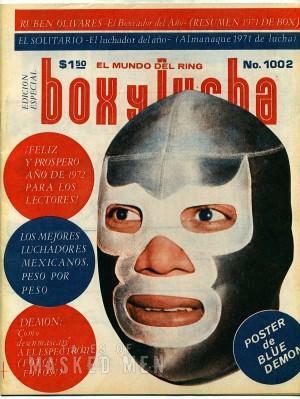 Here’s the first cover featuring a masked wrestler. 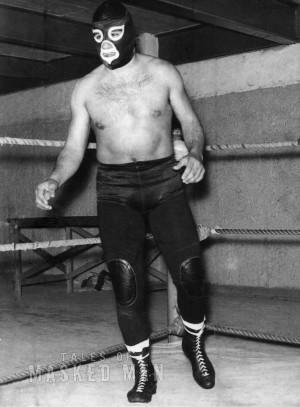 Black Shadow before losing his mask to El Santo. Blue Demon being carried on the shoulders of fans. 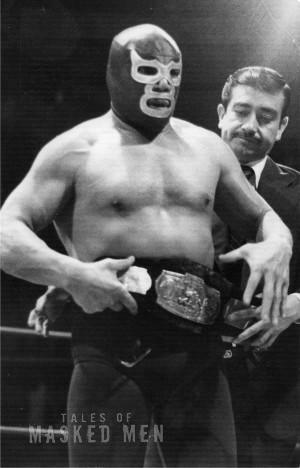 Blue Demon with a championship belt. 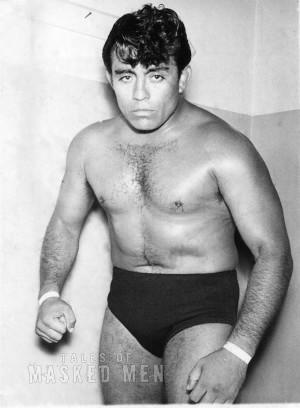 Northern Mexico’s wrestling great, Rene Guajardo. 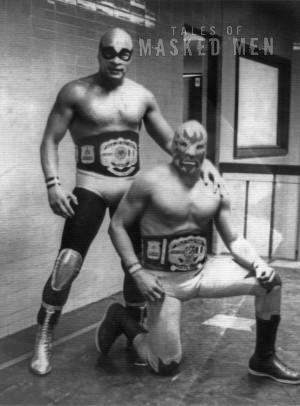 El Solitario and Solar show off their championship belts.